I should have been concentrating on getting ready for the “trip of a lifetime” that was to begin the nest day, but instead, I got totally hooked on a wonderful piece by Bernard L. Herman in the University of North Carolina’s Southern Cultures, a wonderful but tiny quarterly. As the magazine noted in this spring 2015 issue: “Spot are an acquired taste, a learned delicacy about place and identity.” I acquired that taste when I first moved to Dutton on the border of Mathews and Gloucester counties to be married. The land itself was once owned by John Clayton, a botanist of the first order internationally and for half a century county clerk of colonial Gloucester County. Mathews came along after the Revolution. Herman’s long piece brought back a flood tide of fond memories – Gwynn’s Island in Mathews, the old Tidemill Marina on Guinea Road but not the marshes in Gloucester, Nick’s Seafood Pavilion on the Yorktown Waterfront, DeMaria’s Seafood on Warwick Boulevard above the Mariner’s Museum, the ramshackle restaurant at Wharton’s Wharf on the tip of Newport News, Nelly Fuller’s “Eat Dirt Cheap” place in Phoebus and the fishing boats at Deep Creek Harbor and off the causeway running into Fort Monroe. And it also rekindled the knowledge that work on the water and trying to make a living at it – trawling, dredging, hauling, cleaning, selling, preparing and serving – is a damned hard way to get by. Joe Fudge’s pictures in the Daily Press caught that so well within the past few months. Buddy Norris, Thom Slater and so many others shot that on camera when I lived there. Jim Livengood couldn’t oversell me on making sure their work got great display. Dave Parsons in his reporting on the Marine Resources Commission – and not only the meetings — but the devastating impact of Kepone on finfish and shellfish and people who depended on the water to feed their families. Tom Rowe, Mark Middlebrook, Bruce Reid, Bill Giroux, Matt Paust, Eric Sundquist and so many others — that I loved reading not as an editor — told that story so well. It was a loss that Chris Simpson never finished his book on watermen, a life cut way short. I also have to say that two of the papers’ owners – Dorothy Bottom Duffy and Bill Van Buren were keenly interested in stories about the Chesapeake Bay. 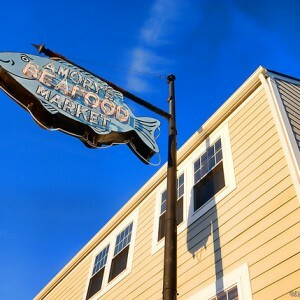 Herman captured the Spot part, even down to the Amory’s family cooking secrets, almost perfectly. I savored the whole run of remembering what so many did in print to keep the story fresh of what life in all of Tidewater was. When I ripped the piece out of the magazine after finishing it in the airport – the flight was hours delayed by a strike, I couldn’t help smiling. 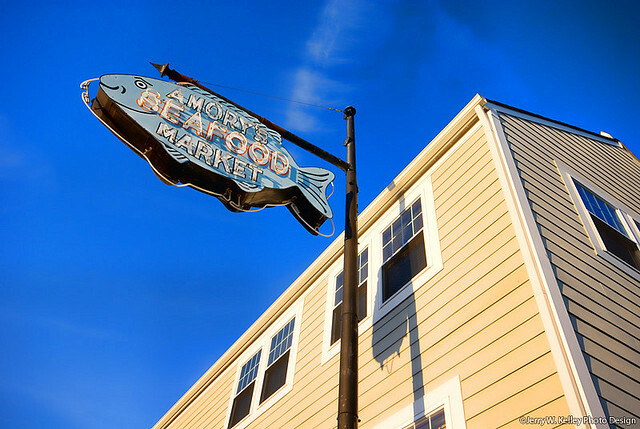 Vice Mayor John Mallory Phillips is supposed to have said when anyone complained about his seafood business on Armistead Avenue or anyone else’s: “Get out of Hampton if you can’t stand the smell of crab.” He could have added or the best panfish frying. I prefer slaw and greens with spot (aka croaker, Jimmy, chub, roach and two I never before heard – Goddy and Lafayette), and for that matter with crab cakes, as well. Hush puppies for starters.